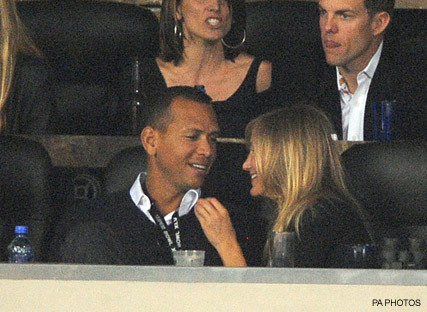 A-list actress Cameron Diaz and sports star Alex Rodriguez have called time on their two-year relationship, according to reports. It’s thought the private pair – who have only been spotted out and about together a handful of times since their romance began – went their separate ways ‘recently,’ but ended their relationship on good terms. ‘They broke up recently,’ one insider told American magazine Us Weekly. Although reps have yet to confirm the split, friends of the pair say there was no one else involved in the break up, but that their busy workloads got in the way. ‘She’s very busy with her career,’ the source said of the 39-year-old Bad Teacher star. ‘And he’s had injuries and wants to focus on his game. They’re dedicated professionals. Although Alex and Cameron went to great lengths to keep their two-year union under wraps, the actress couldn’t help but gush about her beau during an appearance on a US chat show earlier this year. When quizzed on famous photos of the pair cosying up at a Super Bowl match, Cam joked she rarely allows people to steal her snacks, but made an exception for Alex, as she loved him ‘too much’.